Curtis Cloke, CLTC, LUTCF, RICP, is an award-winning financial professional and retirement income expert, trainer, and speaker with three decades of experience in income distribution planning. Curtis actively engages all his audiences with his personable character and genuine care for clients’ retirement needs and concerns. Through his extensive experience, he has perfected the ability to quickly and accurately identify the income needs of all his clients and he’s developed a system-based sales approach that he teaches to advisors. Beyond using annuities to create guaranteed income for life, he shows advisors how to generate the maximum inflation-adjusted income for their clients using the least amount of the portfolio. Curtis began his career as a financial professional with Prudential Financial. After many successful years with Prudential, he merged with a second firm and then in may of 2014, he founded his own firm, Acuity Financial, Inc. This is where his continues to apply and blend his expertise for his clients by providing advanced retirement income-planning strategies and techniques for financial professionals. Curtis is the developer of the Thrive Income Distribution System®, that provides a contractual solution for inflation-adjusted income utilizing the least amount possible of the client’s portfolio value. 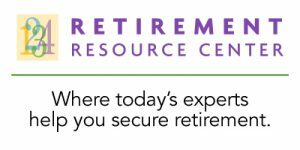 He has also developed and provided continuing education training to professionals on many topics relating to retirement and estate- planning strategies. Curtis is a member of the National Insurance and Financial Advisors Association (NAIFA), and is a former president of the Southeast Iowa Association. He is a member of the Society of Financial Service Professionals (FSP) and is a qualifying member of Top of the Table with the Million Dollar Round Table (MDRT). He has earned his CLTC (Certified in Long Term Care) and LUTCF (Life Underwriters Training Council) designations, and moderates development courses for the Life Underwriters Training Council. With a track record of spot-on media commentary, Curtis Cloke’s expertise has been featured in Senior Market Advisor, InsuranceNewsNet, Retirement Income Journal, NAFA Annuity Outlook, The Wealth Channel magazine, DepositAccounts.com, LifeHealthPro.com, and many more. He is a frequent guest on radio and TV stations, has appeared as a guest on NAIFA ClientCast by Real Wealth® and as a guest presenter on their webinar series, Power Session LIVE by Real Wealth®. Curtis was recognized in 2009 as a top-five finalist for Advisor of the Year by Senior Market Advisor magazine. Have Curtis Cloke speak at your event! Curtis Cloke is an experienced speaker and presenter with a wealth of knowledge on retirement planning and retirement income management. Please contact us today via email or phone 847-686-0440 x102 if you would like to have Curtis or any of our other speakers present at your conference or appear at one of your events, or to receive a free voucher to view a sample of one of our speaker’s work.